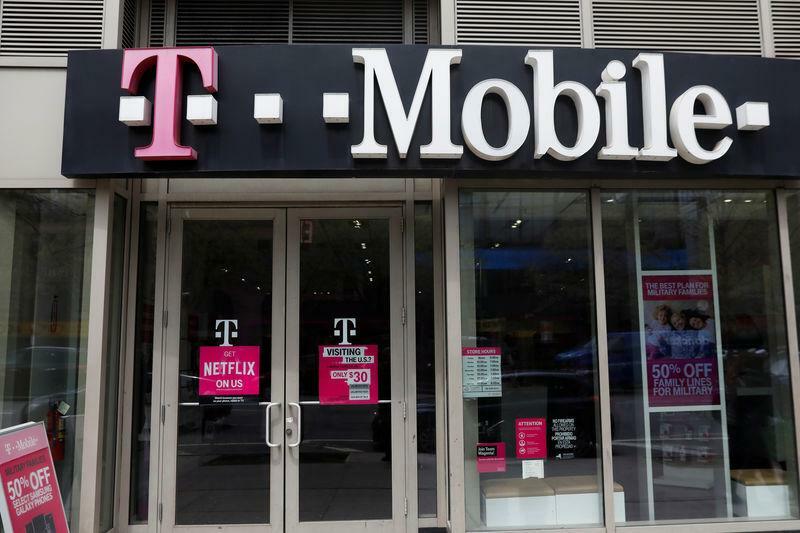 WASHINGTON (Reuters) - The U.S. Federal Communications Commission said on Thursday it has halted the informal 180-day "shot clock" on the review of the merger of wireless providers Sprint Corp and T-Mobile US Inc to give the public three additional weeks to comment on the $26 billion tie-up. The FCC said the decision was made after the third- and fourth-largest U.S. wireless carriers had filed significant additional information on their network integration plans for 2019-2021 and other new information on the merger. The FCC said it typically allows for additional public input after "substantial new submissions" by the applicants. The FCC said it expects to resume the "shot clock," at the current Day 122 on April 4. T-Mobile and Sprint in separate statements called the FCC decision "a positive step" that the FCC is "so deeply engaged in understanding this transaction and our recent filing, and we completely understand their desire" to stop the clock "to fully review the merits of our merger." Sprint said it hopes to complete the regulatory approval process by the end of June. The deal to combine the carriers, struck in April 2018, was approved by both companies’ shareholders in October and has received national security clearance, but still needs approval from the Department of Justice and the FCC. A number of state attorneys general are also reviewing the merger. Last month at a congressional hearing, House Democrats raised worries about the deal because the U.S. wireless market has just four main carriers. The industry leaders are AT&T Inc and Verizon Communications Inc.
T-Mobile Chief Executive John Legere defended the deal, arguing that it will create jobs and help with the construction of the next generation of wireless networks. He said the merged company would have more capacity which would lead to a push to lower prices. Legere and Sprint Executive Chairman Marcelo Claure will testify at another U.S. House hearing on March 12. The deal has run into criticism from unions, consumer advocates, and rural operators. The Communications Workers of America said in a statement Thursday the decision of the companies to file new analyses of the merger suggests they "have failed to persuade regulators." The union argues the deal will eliminate tens of thousands of jobs. A group of eight Democratic U.S. senators and independent Senator Bernie Sanders last month urged regulators to reject the deal, saying monthly bills could rise as much as 10 percent.